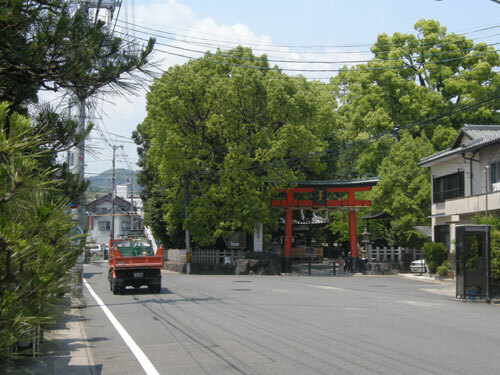 Kami-Katsura is a small suburban district in Kyoto, Japan. Bounded to the east by residential and light industrial areas that run up to the Hozu River, to the west it is held in check by wooded slopes and valleys where the population falls away as the altitude gently climbs. For all the movement of people and vehicles, the district exudes a certain tranquillity which is reflected in the acoustic atmospheres from before dawn until after dusk. Angus Carlyle spent three weeks over a period of two years walking up and down a parcel of land measuring 500 metres long and no more than 100 metres wide, looking, listening and recording. Although it was the inspiration behind his return to the Kami-Katsura district, he never quite managed to capture the striking sounds of a bamboo forest animated by wind that he had first heard on his visit in 2006. Other acoustic events did make their way into his microphones: rain dripping into a cemetery watering-can; the heavy passage of the maroon trains of the Hankyu company gleaming north and south on the Arashiyama Line; the hubbub of one café and the more subdued mood of another; the river bubbling and sliding through the valley, birds and insects marking out the air with their noises; people wandering the forest trail or crossing the asphalt roads. In “Some Memories of Bamboo”, these unprocessed recordings have been stitched together to evoke the heard life of Kami-Katsura, the district’s textures offered more colour through the short stories that accompany each track in the CD booklet. Two hundred metres above the Moss Garden temple, the valley floor opens out and flattens out. It was here, one Sunday, where I was invited to a picnic on an area of boulders and pebbles, some blackened by the soot of previous fires. As the river sang its way past, crows wheeled in the gaps in the trees and insects became slowly moving spots of light as they were caught in the bright sunbeams. The damp patches on my trousers – soaked during a mistimed leap across the stream – were finally beginning to dry out, although they were still able to give off a rich river smell several hours later as I sat on the terrace of a beautiful Kyoto restaurant under glowing lanterns and circling bats. In the valley, the food and drink of the picnic lead the conversation on to talk of national cuisines. 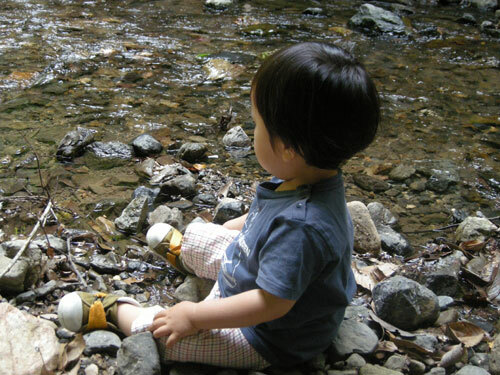 Little Kiyosumi called me “gramps” and splashed stones into the stream or skittered them across the rocks. His voice rose and fell in pitch in accompaniment. I caught the softest suggestion of sad singing in the air and hurriedly connected the microphone to the recorder and settled the headphones over my ears. 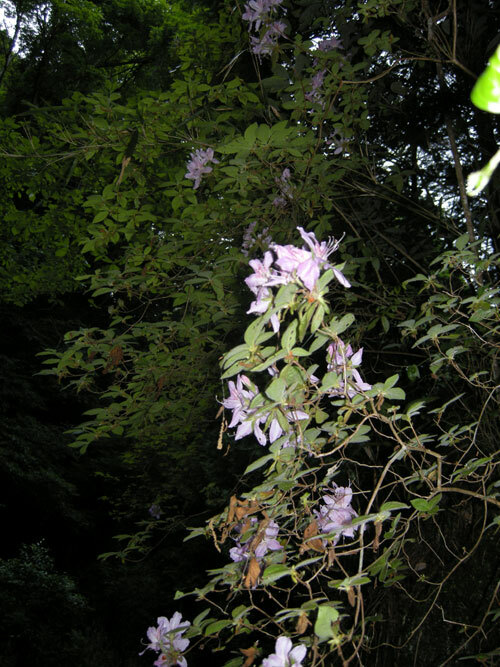 I looked around until I saw an immaculately dressed older woman, a silk scarf knotted around her throat, leaning against the railing by the Saihoji gawa stream. As we strolled together, she sang and talked, we ate boiled sweets and I understood her to have suffered grievously in love. A week later, we met again on a small path below my favourite Jizoin Temple. A Japanese friend revealed that the woman’s sufferings were medical rather than romantic. Her heartbreak had been a literal one. The CD was made possible through generous financial assistance from the Daiwa Anglo Japanese Foundation and the Great Britain Sasakawa Foundation. Since Carlyle’s name was new to yours truly, I went for a Google search and the most satisfactory description was the following: “… Angus’ work explores the intersections between culture, technology and creativity. More specifically, he is interested in how our constructed ‘landscape’ modulates a sense of the relationship between human beings and the environment”. Not a truer word indeed, as this collection of location recordings testifies. Limiting the action to the small suburban district of Kami-Katsura in Kyoto, this man succeeded in presenting an artifact that is not comparable with the current overabundance of field recording-based releases – a dime a dozen lately – as in this case the sounds really tell a story of their own, perfectly portraying the difficulties revealed by each setting and the fickle temporariness of the situations he researched through. Carlyle is very precise, explaining in the enclosed booklet circumstances and utilized materials, adding his reflections about those moments. That said, it is pretty pointless to merely list the acoustic pictures contained by Some Memories Of Bamboo: there are several that we come across quite regularly, a few less widespread than others and, at times, rather extraordinary. Seaming together natural and urban voices is not a difficult task these days, yet Carlyle accomplished a nice balance of clarity – namely an easy identification of the source – and elusiveness, either derived from a malfunctioning piece of equipment or caused by the long distance from which certain scenes were captured. The repetition of a computerized announcement on a bus appears almost as lyrical as a nocturnal bird; a restaurant’s muzak fragment is so softly restrained that, once framed in this particular milieu, it becomes plain lovely – like a whisper of summer wind. Pure poetry is found in the record’s finishing episode, an old woman singing an ancient Japanese tune, then chatting amiably in broken English with the fellow soul who happened to record that moment. They talk, among other things, of the beauty of a well-visible moon in an afternoon’s blue sky. Reading in the liners that this frail lady was recovering from a heart attack is touching, her will to keep living and appreciate the sheer magnificence of the universe’s phenomena a teaching for many people who grieve over trivial matters and minor frustrations, unable to see the essence of what’s necessary right in front of them. Silent stories from Japan: Subtle sounds embedded into a sonic scenery of peace and tranquility. What is it that defines a field recorder? What turns a man walking around with a microphone into a phonographer? When does the acoustic world around us become a piece of art? It is questions like these that have occupied Angus Carlyle for the better part of the past decade. His work has accompanied, analysed, interpreted and inspired the development of field recordings from a vague term to a fully-fledged genre fanning out into anything from sound art to philosophy. Throughout, he has sought to reconcile the documentary nature of the trade with the freedom to just listen: His approach has been scientific, yet passionate. It has been minutely detailed yet offered far-reaching implications. It is grounded in academic insight but never looses sight of the senses. Vice versa, his pieces have occasionally come to complex conclusions but they have always strived for clarity first. „Autumn Leaves“, a compendium he edited in 2007, constituted a pinnacle of sorts in this respect. A combination of articles essays and interviews, of textual, graphic and photographic work, of a painstakingly edited book and a massive three-hour online-compilation, it invited in everyone who had something meaningful to say about the subject, bridging substyles and niches, scenes. communities and international borders. If he’d decided to forever revert to silence afterwards, these words would have made for some famous last ones indeed. So what can you actually hear on this album? Mostly, very subtle sounds embedded into a sonic scenery of peace, tranquility and daily life unfolding at an unhurried pace. Scenes at a cafe: The clatter of cups on ceramic, the faint echo of background music, the muffled chatter of guests. 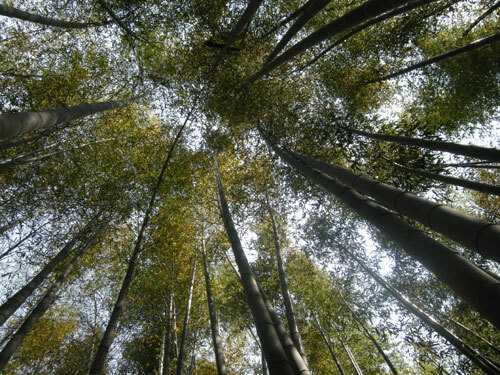 A walk along a bamboo grove: The rustling of footsteps in the grass, the chirping and chanting of birds, the dreamy drone of a helicopter in the distance. Morning ritual at the Jyoujyuji temple: Coarse and throaty mantras, the rhythmical sounding of deep bells, the cool air of the enveloping darkness. A short break at the riverbank: Water babbling joyously, dripping absent-mindedly, gushing playfully. As Carlyle points out, this world contains „all the amenities you would expect from a living high street“, including „supermarkets, florists, bakers, hairdressers, restaurants and a post office“. And yet, he finds wonder in the most inconspicuous places: The electrical hum and pointillist signalling of a railway crossing turn into a seven and a half minute long miracle. 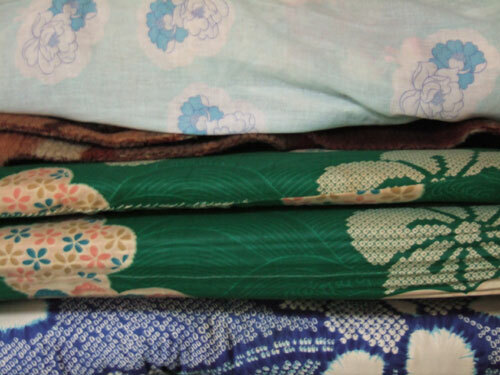 And the voice of an old Japanese lady hauntingly ebbs away, as she murmurs ancient songs about the memory of spirits. From Carlyle’s perspective, movements of men and notions of nature have been reduced to the metaphorical motions of a pantomime: You can hear voices, but their timbre is more important than what they are saying. You can identify animals and plants, but their outlines remain ephemeral and hazy. Likewise, Carlyle hasn’t edited himself out of the recordings, but even though he appears on various tracks as an interviewer, a speaker or merely as an invisible narrator, his presence remains elusive and has been entirely embedded into a gentle cloud of sound. You can almost imagine him floating through town like a ghost, listening in to people’s conversations without them noticing. As casual and carefree as some of these works sound, though, they are always the result of a carefully-planned probing-process. To capture a very particular quality of the bamboo harvest, for example, Carlyle returned to Kami-Katsura several times, never quite able to get hold of that powerfully snapping sensation he experienced on his first visit. In the end, what remained was a field of allusions, quiet clusters of wood rubbing against each other on a „dense carpet of dry leaves“. There is an extensive introduction to the album and Carlyle has included highly personal liner notes to each of the thirteen scenes in the booklet. There can be no doubt that these notes serve to deepen the impact of the record, adding even more concrete images to the already vivid pictures the ear has managed to create on its own. 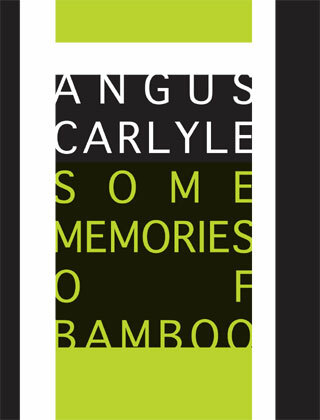 And yet, „Some Memories of Bamboo“ is an effective counterpoint to the prejudice that field recordings are worthless without knowledge of their context. As one gradually delves into this jade-coloured fantasm, each element is revealing its purpose and the sequencing, as chronologically distorted as it may be, appears to follow an undeniable logical. The duties of a field recorder and a writer, then, are not all that different: Where others can detect nothing but noise, they uncover structures. Where most will see routines, they will discover stories. And where some will hear silence, they will see beauty. Carlyle’s voice may sometimes die down to a whisper, but there is plenty of the latter to be found here. There’s a thin line between rewarding, captivating & interesting field recordings. And badly executed, edited & rather boring field recording work- sadly & rather frustratingly “Some Memories Of Bamboo” often cross back & forth over said line. Angus Carlyle is a field recordist, researcher and teacher at the University of the Arts in London. He works with mainly unprocessed field recordings, and has now released on Gruenrekorder- one collaborative recording with Rupert Cox(2012’s Air Pressure), and featured on a few compilations on the label too. 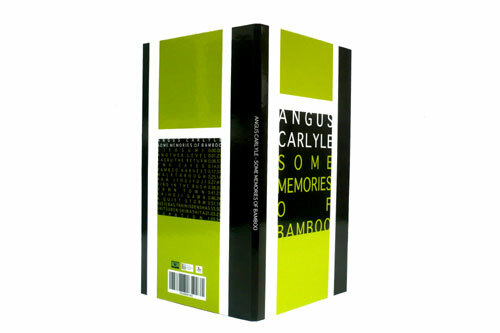 “Some Memories Of Bamboo” is based around recordings made by Carlyle over a three week period in 2009 in Kami-Katsura. 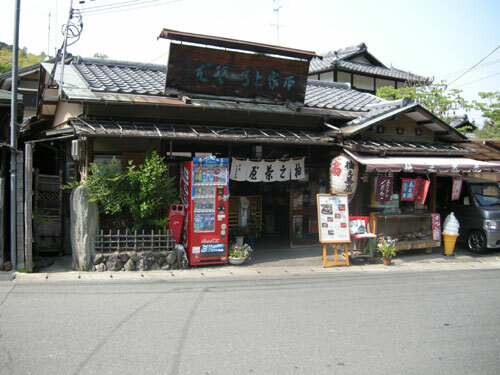 Which is a small suburban district in Kyoto, Japan. 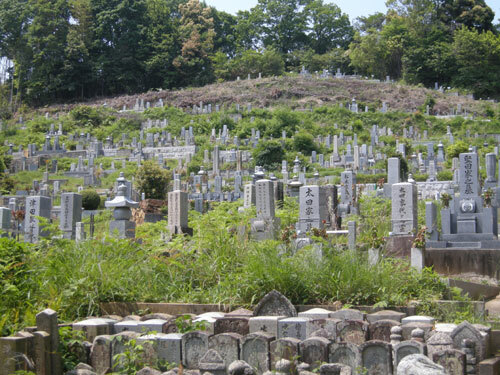 The area is bounded to the east by residential and light industrial areas that run up to the Hozu River, to the west it is held in check by wooded slopes and valleys where the population falls away as the altitude gently climbs. The release starts off badly with the track “Kiyosumi”, which finds the chatter of a oriental boy throwing rocks in a stream, and Carlyle monotone English voice saying “I’ll watch, I’ll watch” in a rather tired manner. Thankfully the track only last just over a minute, but it’s terrible indulgent, and I’m not sure what we meant to gain from it?!. Carlyle’s voice appears latter on again in the track “Bamboo Harvest”. To start with the track offers up marginal interest with various bird songs calls, through the start is rather blown out by a airplane recording. Then we get some rather uninteresting trampling through a field recordings, which are followed with a mixture of guide chatter, and Carlyle’s voice again- after this we have some quite effective sounds of bamboo being chopped & bird song. Why oh, why couldn’t he have edited out the bland walking elements, the airplane & most of all his voice?. There are of course moments here when he does get it right, take the track “Two cafes” which mixers oriental chatter, newspaper folding, glass knocking & western easy listen radio station drift. 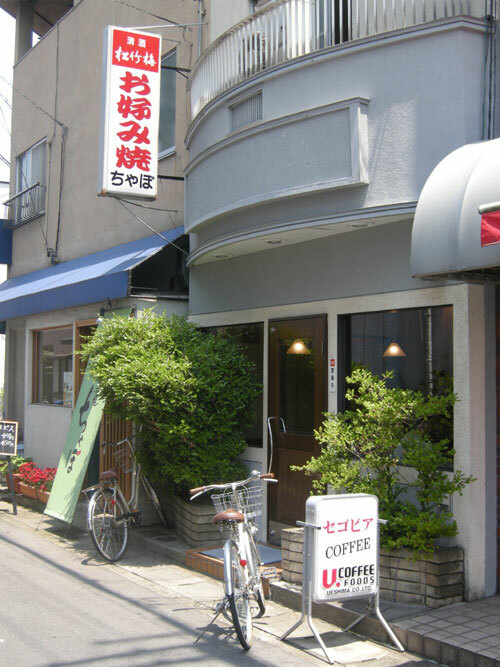 The tracks is most captivating, and rewarding, and he really nicely captures the feeling of the café’s very well. Another success is “Saihoji Gawa” where he captures a mixture of close miked water recordings- which takes in all manner of rushes, trickles, drips and bubbles. Also mixed in are the odd bird sound too, and these go from a distant squawking to a more tuneful chatter. The track really gives one the feeling they could almost reach into the speakers & feel the water rushing over thier hands. But then we have the rather dull bus journey field recordings of the truly boring “Bus Is Bas, Train Is Densha. The track finds Carlyle recording the sound from inside a bus as it judders along & we get oriental announcements of stops- the near on eight minute track is so dull & uneventful, and the juddering sounds are not even vaguely rewarding. On the positive side the release looks kind of neat in it’s distinctive small long booklet like digpak form. It’s artwork unitizing blocks, lines & texts on mainly black, green, white colour scheme. With the sleeve opening up to the CD at the bottom of the package, & the booklet above it- Gruenrekorder design department have made a really distinctive bit of packaging here. But ultimately you can’t purely judge something by it’s packaging, and sadly the audio part of “Some Memories Of Bamboo” is extremely mixed in quality,execution & concept. I’m sure there are more interesting/rewarding sounds with-in the Kami-Katsura area, and from time to time he mangers to capture them, but sadly on other occasions his ego, and badly edited/ conceived recordings get in the way. 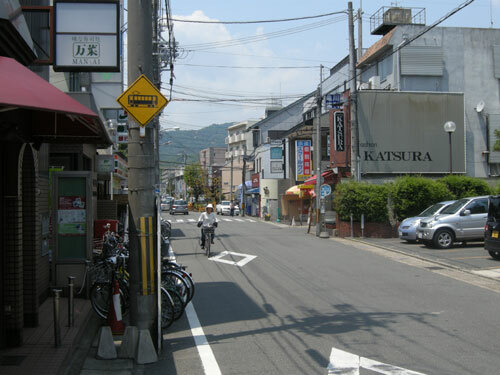 Having initially come to Kami-Katsura, a small suburban district in North West Kyoto, Japan, by accident, Angus Carlyle found himself so seduced by the tranquility of its acoustic atmospheres that he subsequently returned to compile three weeks of recordings of a land area 500 metres long and 100 metres wide. 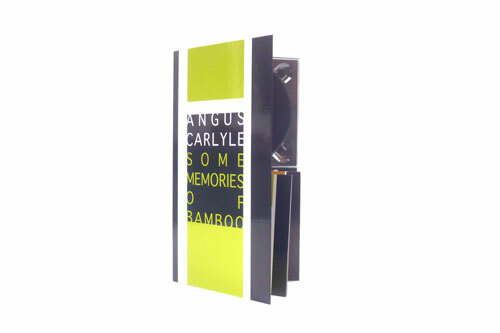 Some Memories of Bamboo is the first solo CD from Carlyle, a writer and sound recordist who works at the University of the Arts, London and co-curated the Sound Escapes exhibition at Space in London. The sixty-five-minute release effectively documents his interest in merging anthropology and sound art into an “arresting geography of the ear,” a conceptual field where the visual gives way to the auditory. The listener vicariously moves through the environments alongside Carlyle who explores natural and man-made locales in equal measure. 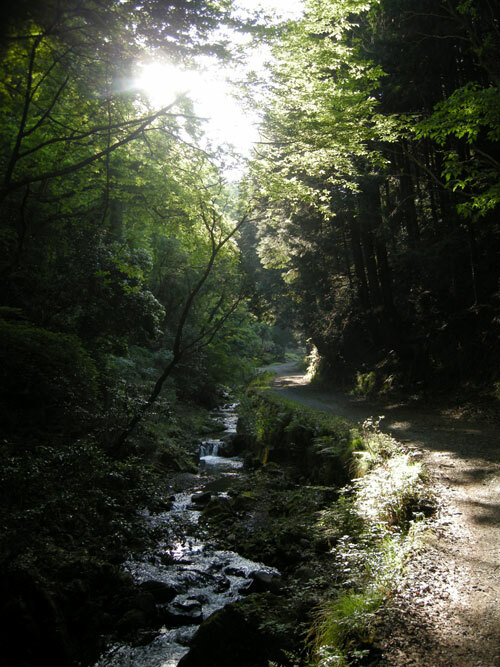 At a picnic, an infant named Kiyosumi babbles while splashing stones into a stream; cheerful muzak floats through the background while customers rustle newspapers and dishes clatter (“Two Cafes”); chirping birds, buzzing insects, and a frog’s soft croak are heard at a river’s edge (“Kaeru: The Return”); and drums, tolling bells, and chants emanate from a nearby Jyoujyuji temple (“4 a.m. Jyoujyuji”). 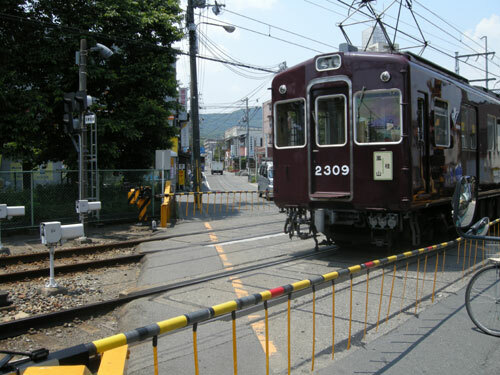 During “Another Level,” a crossing’s insistent warning signal forecasts the arrival of Hankyu Company trains as they pass through the Arashiyama Line, while “Bamboo Harvest” documents Carlyle’s frustrated attempts to capture the creaking trunks, crinkling leaves, and cracks of the titular tree. Elsewhere, feet clump along the ground, thunder accompanies a deluge of rainwater, a bus clatters on a rocky road, and plips, plops, gurgles and trickles resound by a riverbank. Germany’s Gruenrekorder label sometimes has money to burn – well sometimes. Maybe the artist chips in some money too? I never heard of Angus Carlyle, but apparently he visited the Kami-Katsura, a small suburban district of Kyoto, Japan and recorded there this work, in thirteen scenes. Each of them comes with a description of the specific site, which is nice to read, but of course doesn’t compare with seeing the real thing. 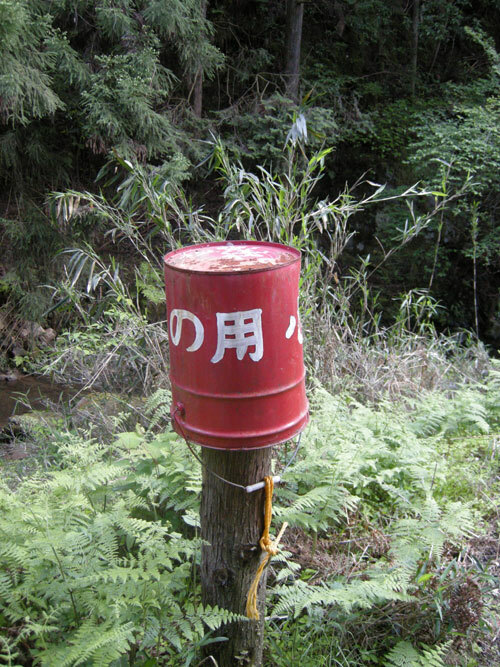 Its not an area I visited, I think, when I was in Kyoto. Like so many of the Gruenrekorder releases, this one too deals with pure, unprocessed field recordings. Very tranquil, this particular neighborhood, I assume, as most of these pieces consist of very few sounds. Bird twitter, a car passing, few human interaction, water sounds and that’s it. Surely nice to hear, but I wonder: by whom? I think, I prefer that people compose with sounds like this, rather than present them as they are. Surely nice enough though. Made me wanting to go back to Japan. Im wunderbaren Manga “Der spazierende Mann” von Jir? Taniguchi wird der Betrachter Zeuge, wie ein Mann sich feinfühlig durch Beobachtungen und Erlebnisse in der Natur inspirieren lässt. Dabei wird die gezeichnete Landschaft auch deshalb so auratisch schön, weil wir als Leser Zeuge werden, wie der Hauptdarsteller der Geschichte sie wahrnimmt und auf sie reagiert. Diese Vogelperspektive gibt es bei Field Recordings und der Kunst, mit Landschaftsgeräuschen zu komponieren so erst einmal nicht, zumindest nicht in der direkten Vermittlung. Angus Carlyle tut aber das, was alle ernstzunehmenden Field Recordists machen: er dokumentiert mit viel Respekt vor den Orten und Geschehnissen an ihnen die Routen seiner “sound maps”, alle in einem ruhigen Bezirk im Umfeld von Kyoto entstanden. Wer mag kann sich im aufgeräumt gestalteten Textbooklet verlieren. Die Klänge, die Carlyle hier gesammelt hat sind bizarre und Nähe schaffend zugleich: entfernter Verkehr, Wetter, dann aber plötzlich ganz nah eine Gesangsmelodie, dann wieder schwüle Hitze und ganz stille Passagen. Some Memories Of Bamboo ist ein echtes Juwel dieses Genres, weil es Sorgfalt und Detailfreude walten läßt.